Audrey Marie Frank, age 93, of Lawton, passed away October 18, 2018. She was born March 4, 1925 in Milwaukee, Wisconsin to the late Albert and Flora (Schwanbeck) Engel. She is survived by four children, Michael (Karen) Frank of Paw Paw, David (Karen) Frank of Lawton, Sandra Stuart of Portage and Carol (Craig) Beach of Lawton, eight grandchildren, six great grandchildren along with many nieces and nephews. Audrey was preceded in death by her husband, Warren Frank, daughter, Elizabeth Maxam Frank and her sister, Doris Hoennecke. Audrey worked as a nurse in Milwaukee prior to moving to Lawton in 1952. She settled in Lawton and was a homemaker, raising her family and spending time sewing. She later became part of the family businesses, Paw Paw Cycle and Fruit Belt Foods, where she worked managing the office until age 80. 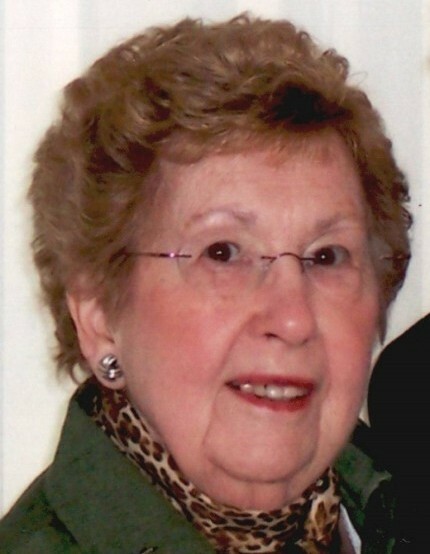 She was a member of Saint Michael Lutheran Church in Portage and enjoyed classical music and reading. The family will receive friends Tuesday, October 23, from 5-7 p.m. at the Adams Funeral Home, 502 West Michigan Ave, Paw Paw. Funeral services will follow on Wednesday, October 24, at 11:00 a.m. at the funeral home with Pastor Paul Naumann officiating. A luncheon will follow services at the funeral home with burial to conclude at Oak Grove Cemetery, Lawton. Memorial contributions may be directed to Hospice Care of Southwest Michigan or Saint Michael Lutheran School in Portage.